September 26th 2015 Brings the new Erp directive from the EU. Labelling all space heaters & water heaters, this will be mandatory across the (EU) European Union. The labelling scale will be similar as what is currently shown on electrical goods. As installers we will be responsible to provide the customer with energy efficiency & labels for the products being installed after this date. Gas boilers, central heating controls et cetera. Increased boiler efficiency can be gained with a simple weather compensation device fitted externally to the home. Low modulating circulation pump allows the new ErP Gas Boiler to save more money from less electricity. ErP (Energy related Products) Directive has been put in to place & brought into line with (EU) European Union. This is to achieve it’s 20-20-20 target for lowering emissions to 20% by 2020. Heating & boiler systems are to be labelled the same way as electrical products, things such as Tv’s & kitchen white goods. Making boilers that use less energy. New boiler will be signed off with a new energy efficiency label. New labelling system will be similar to washing machines or dishwashers. Also on the label will be the noise/sound level Appliance space heating output. Existing boilers will be classed between the A-G classification whilst new product classification such as renewable will have an A+, A++ & A+++ classification. Pumps that use less power modulating pumps. ErP (Energy related Products) will make it easier for the installers & also the consumer who wants to purchase a new boiler. Efficiency & reducing carbon emissions plus using less costs on wasted energy. September 26th sees the new directive launch for heating & hot water products. Output are governed to less than 400KW. Save By Boosting To A New ErP Boiler Up To 30% Saving Compaired To Non Condensing Boilers. Straight forward & user friendly. Simple controls, lets you easily dial in the temperatures required to control the central heating & hot water. Easy to see (LCD) liquid crystal display display that puts you right in the picture displaying either the central heating mode or hot water, all easy to control the heat output via the controls. Energy saving trust endorsement, meeting the high standards of boiler efficiency. 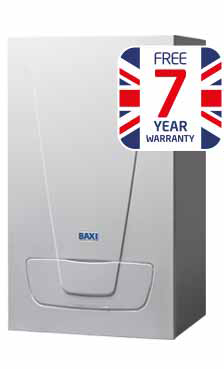 Combine the with an Baxi Gas Boiler & the energy saving gain will soon pay for itself. Interested In Our Heating Services?